If anyone runs across a dark tint stock size windscreen let me know please. they're all larger than stock. i know that's the trend / prefered shield, but i like the stock size. it works well for me. Did you try MRA windscreens? They are a German company and seem to have a pretty good rep. The web site for MRA screens is www.mra.de You can e-mail them. info@mra.de I don't know what their selection is like but I am looking into it for my bike. 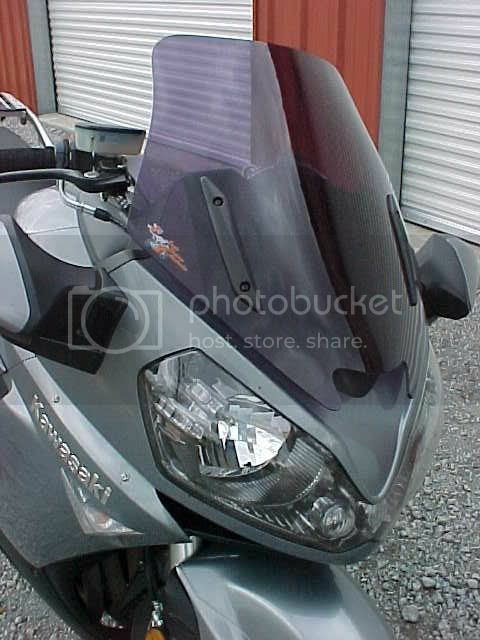 I am looking for a slightly higher windscreen than the stock one. Just heard from MRA windscreens. They don't have anything yet for the C14. Try another outfit I guess. 7JuRock is sending me a sample of their tint. Gustafsson Plastics has one but you have to drill your own holes. tried that on another bike. didn't last long. started to wrinkle up a little. UPDATE gave up on Gustafsson sending some samples after contacting them 4 times. i wasn't thrilled with having to drill the holes either. contacted Eagle Screens in Australia. stock size, tinted, shipped for around $170 US. they should be close to shipping. i'll post a picture when i get it.